During your wedding consultation and styling trial I dedicate myself to you, making sure that you are entirely satisfied with the finished result. The time I spend with you and the quality of my styling ensures that you will receive the best service and a superior finish. You'll look gorgeous, feel beautiful and dazzle! I can guarantee that your husband-to-be will be captivated! 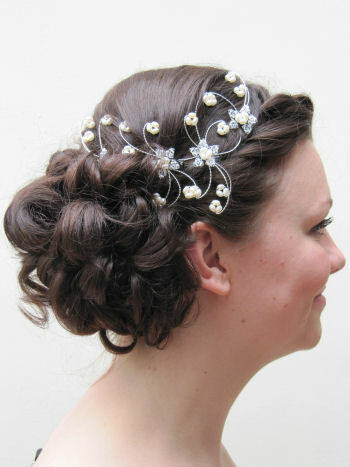 Your wedding trial includes three hours of styling with up to two styles. Generally, two styles at the trial are sufficient. I will do more for you if you wish. Photographs are taken, printed and posted to you afterwards. These will act as a point of reference for you, and me, on the wedding day. I believe that it is a privilege to be asked to attend to, and be responsible for, the preparation and presentation of one of the most important aspects of a bride's wedding day - her beauty. I do not undertake my duties lightly and I always aim to over deliver on value. 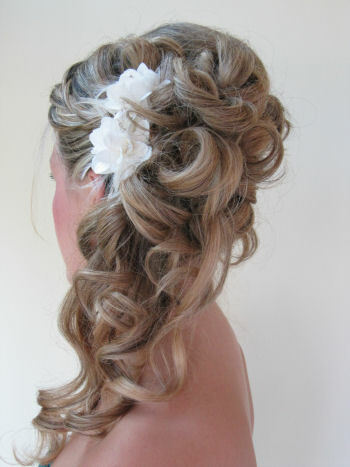 Because clients hair and styling requirements will vary, I do not have fixed wedding day charges. Please contact me to discuss your individual ideas and needs, to arrive at a cost which is tailored to you and your party. My email contact details are here. Please let me have your wedding date, the venue and the number of individuals you wish to have styled. 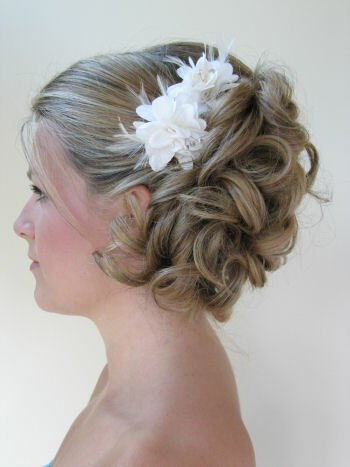 Any additional styling after three hours at the trial consultation will be charged at £25 per hour. A non-refundable deposit of £50 (due on completion of the trial) is required to secure your wedding date. Long-date bookings require a deposit of £50 (non-refundable) at confirmation. A minimum charge of £195 is made for the wedding day. This amount also falls due for any cancellation made 30 days or prior to the wedding date. A surcharge of £100 will be applied to Sunday and bank holiday weddings. Travel will be charged at .50p per mile to & fro. All parking, congestion and toll fees will be charged. All flight and hotel stays found necessary will be payable, in advance. If there is anything that you need advice or help with, please contact me.